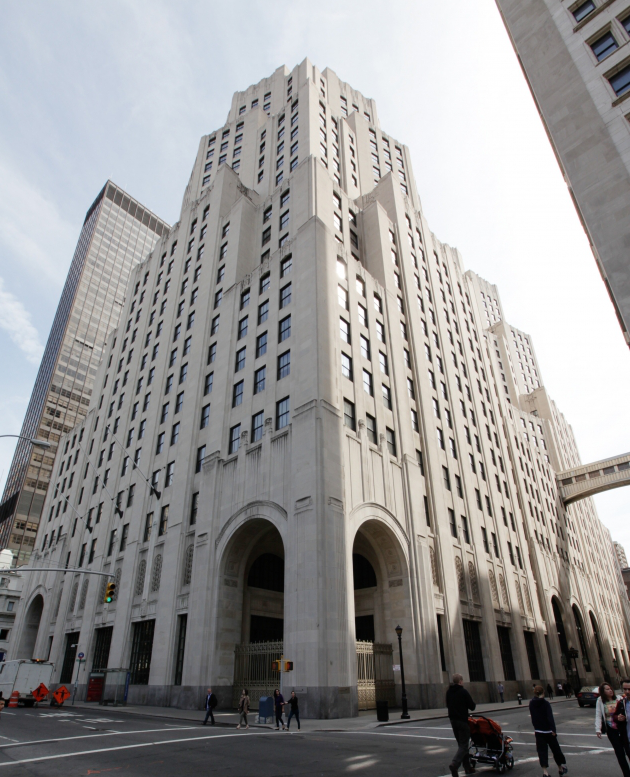 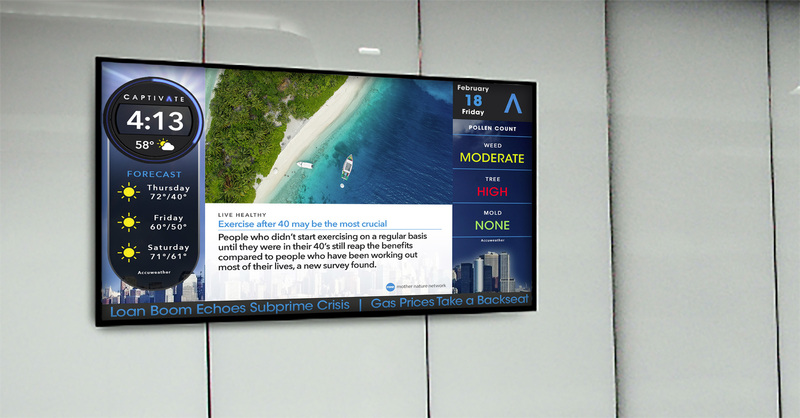 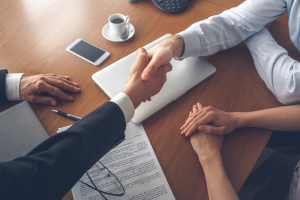 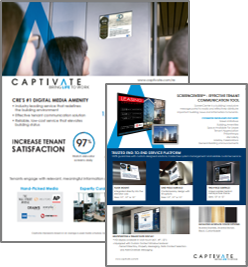 Fundamentally change your tenant's experience through meaningful, relevant and appropriate office media content. 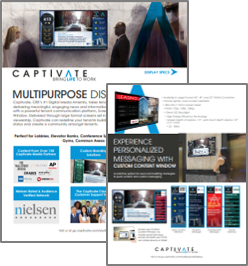 ScreenCenter™ is Captivate's easy-to-use online messaging portal enabling you to truly have a conversation with tenants. 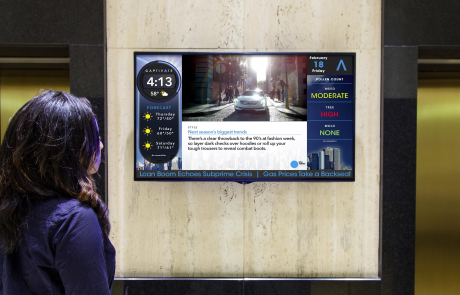 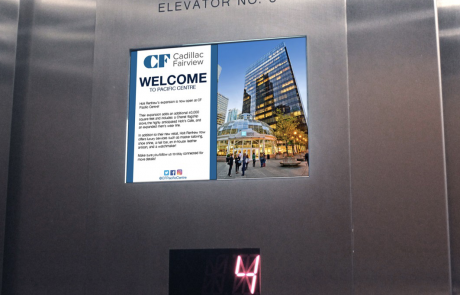 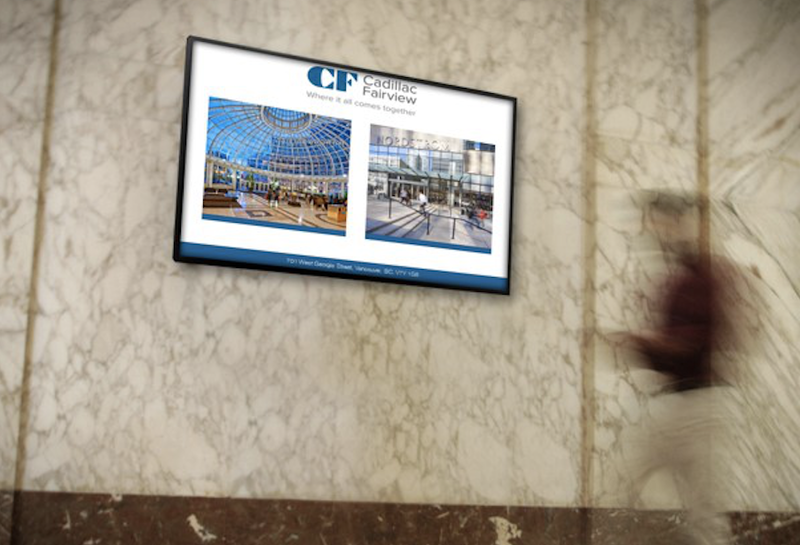 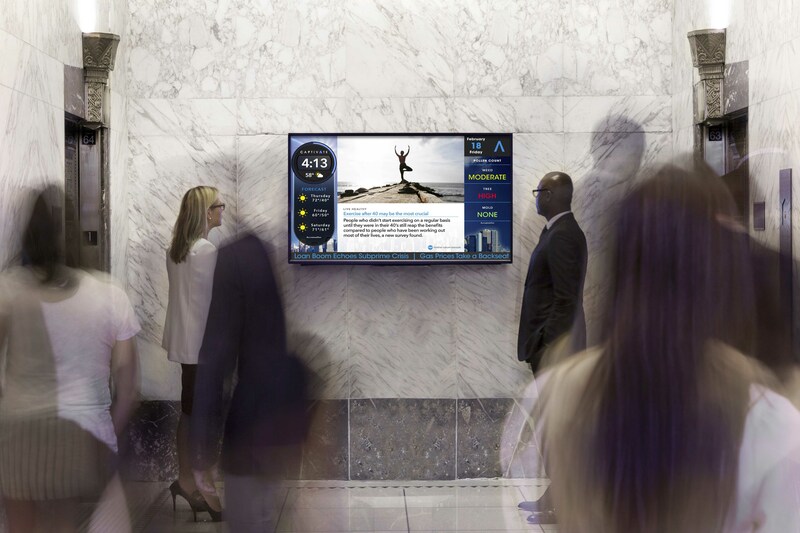 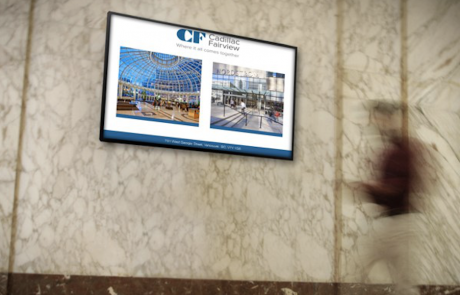 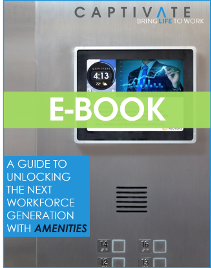 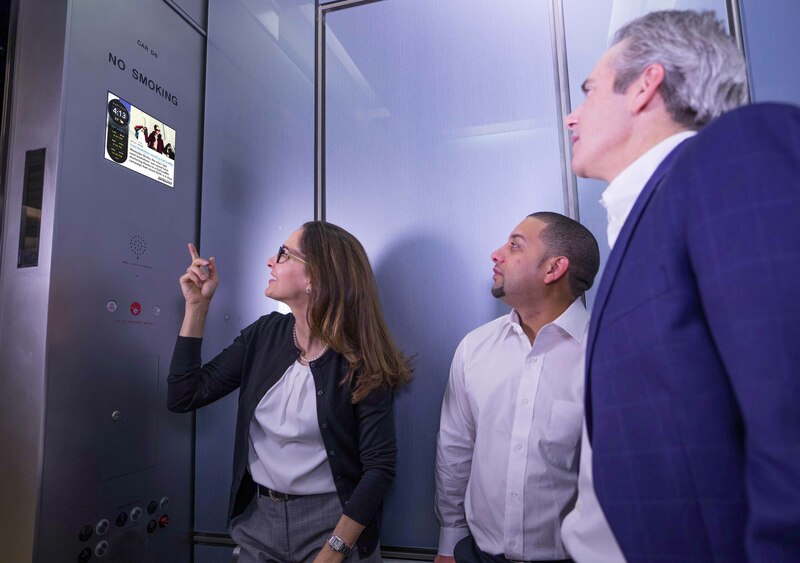 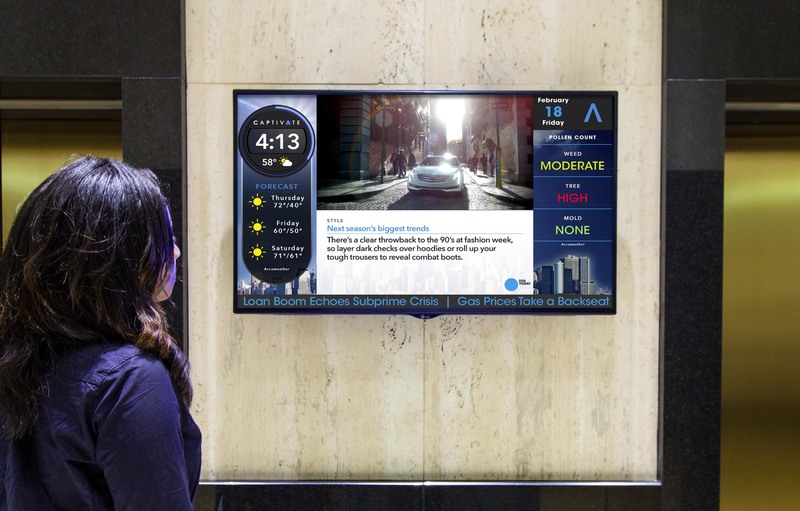 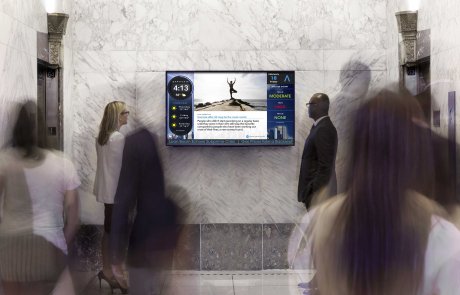 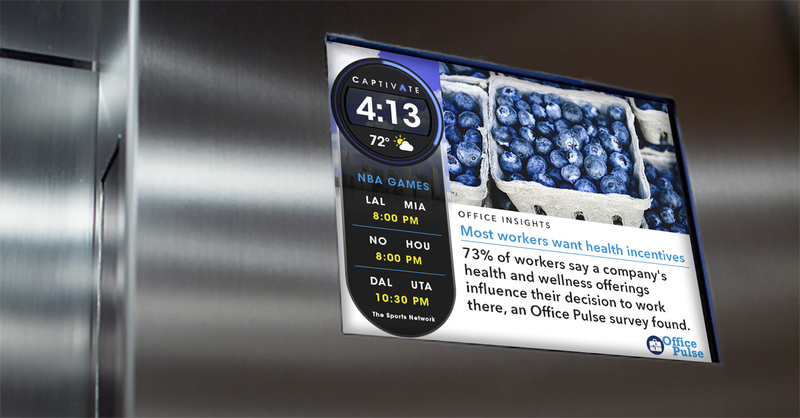 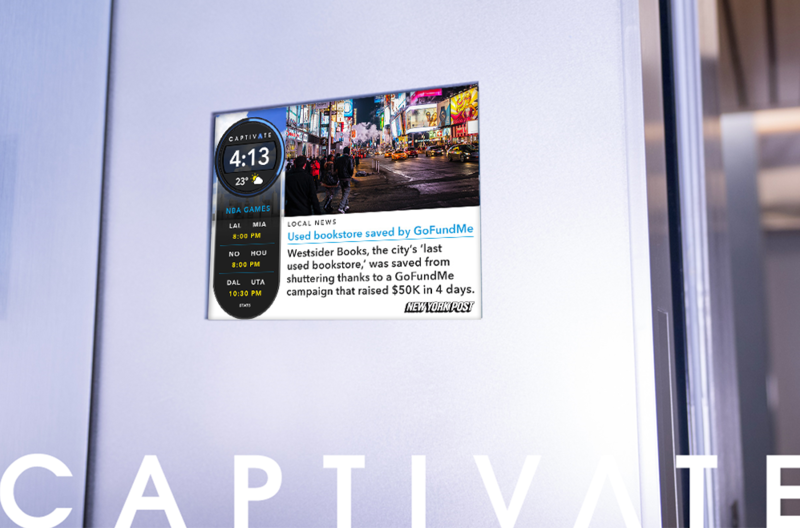 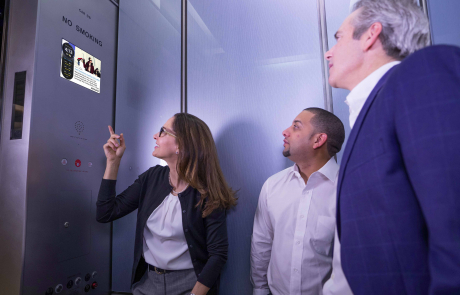 Whether it's in the elevator, the lobby, or any common area inside of a building, Captivate is the industry's only end-to-end solution from installation to customer service. 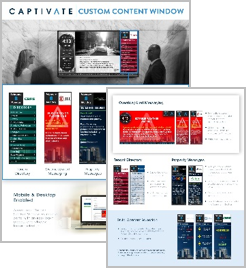 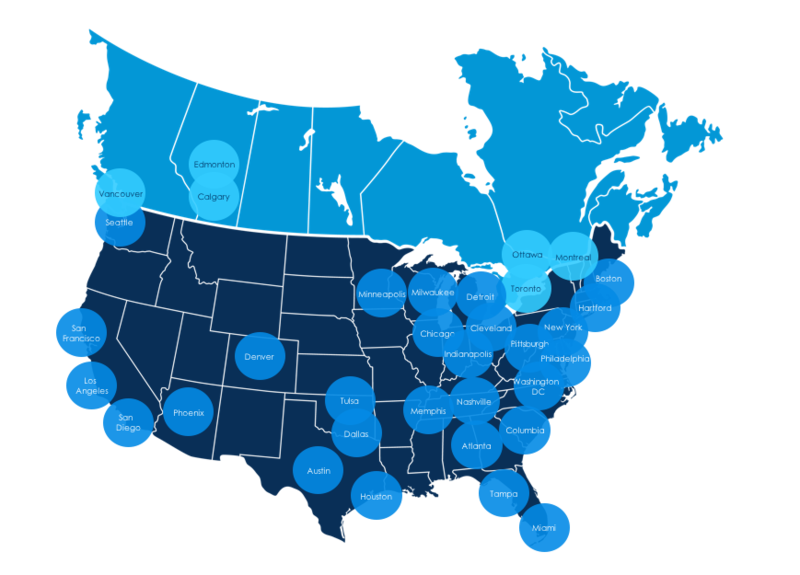 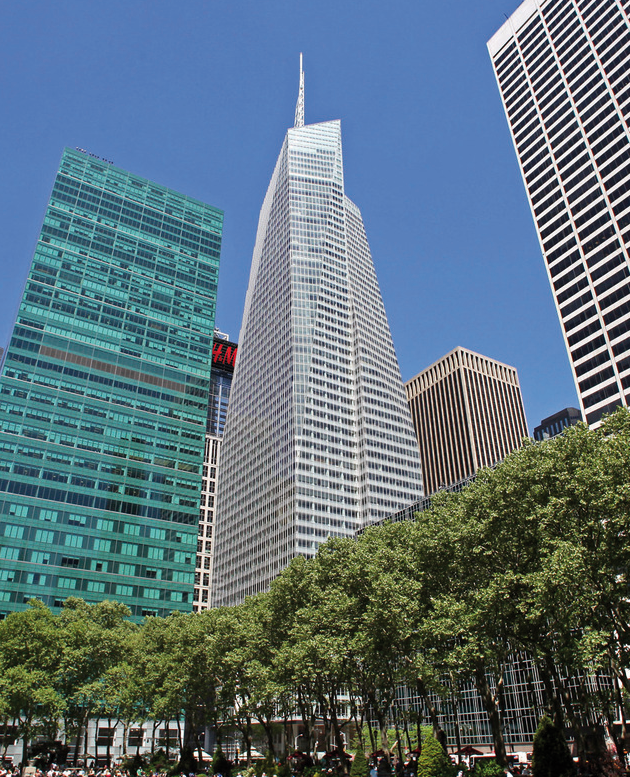 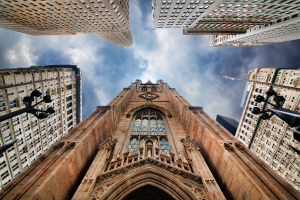 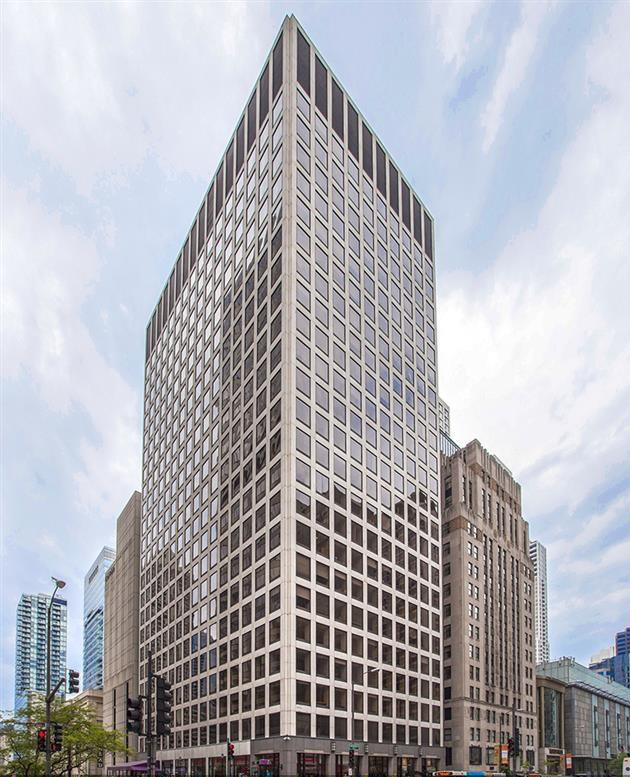 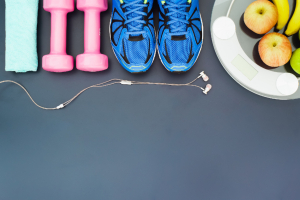 Captivate raises the profile of buildings and brands with flexible, customized solutions that are tailored to each building. 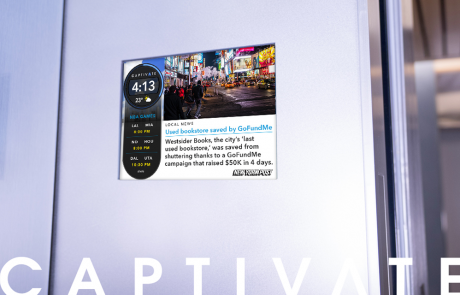 "Captivate has been in our building since it first came out and the changes over the years have kept up with the times - keep it up!" 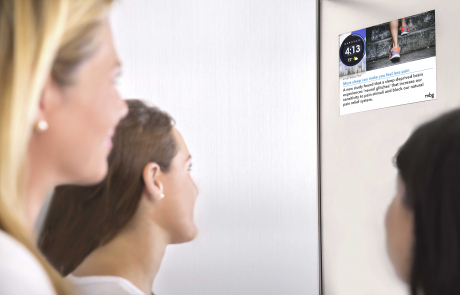 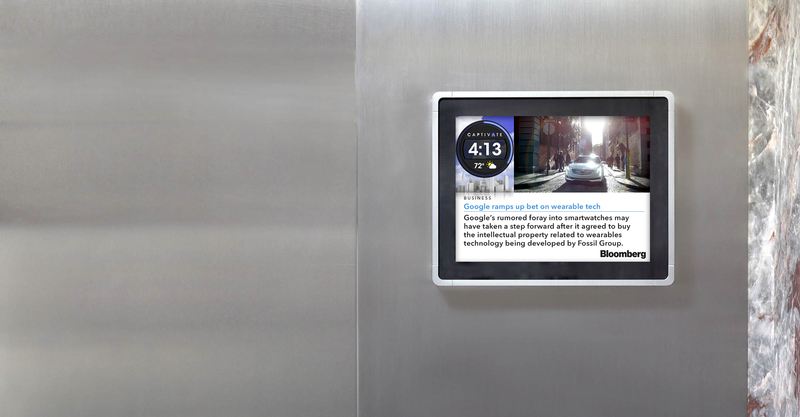 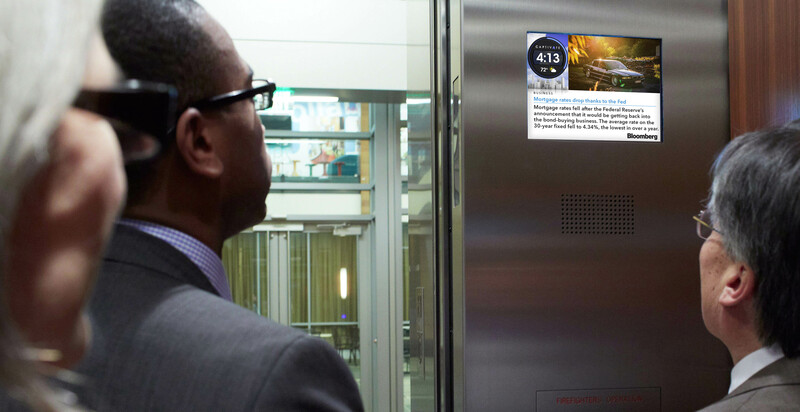 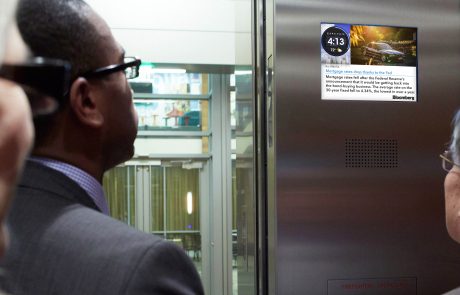 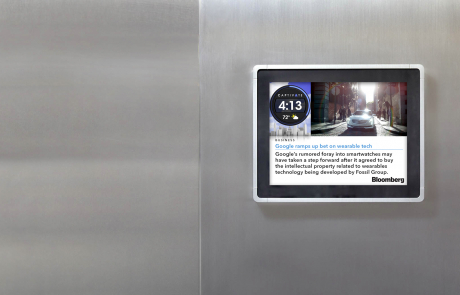 "It is a great feature in the elevators. 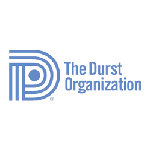 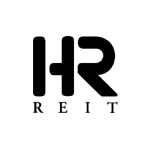 Tenants love it and it looks great to prospective tenants as well."